The Haunted House and other short stories, written by Virginia Woolf. I have seen that not many people write about books, so I thought I would share an idea. Here it is : You are looking for a book to read and/or you have read books in English. I thought that we could help each other by giving ideas about what to read ( and why ? ). I look forward to exchange more about literature with all of you ! I have read The Haunted House and other short stories, written by Virginia Woolf. Some of the stories are longer than the others, but all are interesting and different. Some of them are easy to read and analyse. And some others not. But it is short and if you don't have much time to read and want to read different things, I would advice you to read this. My favourite short story of that book is " A Haunted House ". It is about a couple in a house... But there is just so much more to that ! I look forward to your ideas ! 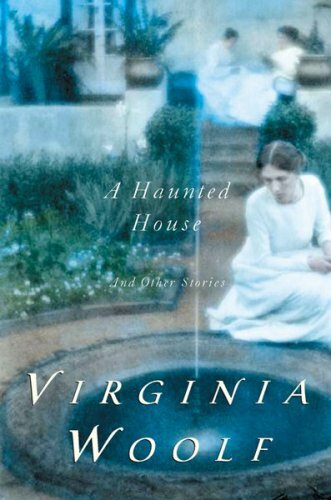 Re: The Haunted House and other short stories, written by Virginia Woolf. A very good idea that could encourage members to participate. As for me, I very rarely read novels. As a fan of sciences, I'm more attracted by articles or books that provide me with more knowledge or explanations (so most of the time I read articles or big files but also specialized books). I am interested about sciences as well, as long as I can easily understand it ( I am faaaaaaar from being a scientist ! ). I have read few things about neurosciences, which I find fascinating. I don't read novels at the moment because I have very little time. I concentrate on finding good articles for the forum. Anyway i remember a few books I read in the past. For instance ""Brave new world"which is about a terrifying evolution of the world. I will write about it later because i don't have much time right now. I just mentioned something that she wrote, but I am afraid that " I'm not afraid " is a work by Virginia Woolf. There are films or play about her such as " Who's afraid of Virginia Woolf ? " or " Me—I'm Afraid of Virginia Woolf ". Is it what you are talking about ? @Muriel : I don't read lots of novels, but short stories, or poetry. However, I do read ( sometimes ) novels ! Who is it written by, Muriel ? And what is it about ? I might be interested to read it !